A mattress is an expensive investment, but with proper care and maintenance, you can maintain its quality for years to come. In fact, a well-maintained mattress can last anywhere from 10-15 years. However, a few months or years in self-storage can diminish the quality of your mattress if you do not take proper care. Here, the storage experts at Affordable Family Storage in Ozark, Missouri discuss how to store your mattress. Before placing your mattress in self-storage, be sure to thoroughly clean it and air it out. 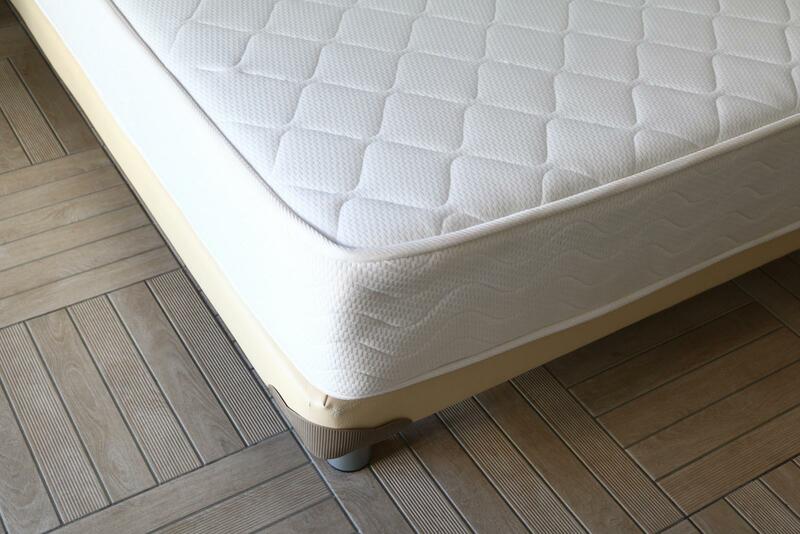 To clean a mattress, remove it from the box spring and strip it of any bedding. Next, sprinkle some baking soda and allow it to sit for at least 30 minutes. This provides enough to time for the baking soda to absorb any odors. Afterward, vacuum up the baking soda and let your mattress air out for a couple hours. If it’s a nice day, consider setting your mattress outside. Before moving your mattress to the self-storage facility, be sure to carefully wrap it in plastic. Thick plastic is likely to trap moisture and cause problems with mold and mildew, so be sure to pick something light and breathable. Once you’ve wrapped the mattress, use packing tape to create a tight seal. If you are planning to store your mattress for a long period of time, you might want to consider buying a mattress bag. While quality bags can get somewhat expensive, protecting your mattress is well worth the cost. While it may be tempting to put your mattress in a traditional storage unit, you may regret the decision later. In a traditional storage unit, your mattress is more exposed to the elements of nature, including pests and weather changes. By choosing a climate-controlled self-storage facility, you ensure your mattress is protected from extreme changes in temperature and humidity levels, dramatically decreasing your chances of damaging your mattress. At Affordable Family Storage in Ozark, Missouri, all of our units are climate controlled. By maintaining a relatively constant temperature throughout the year, we ensure that your belongings maintain their quality. Placing a mattress on its side may save space in your storage unit, but leaving a mattress upright for a long period of time can damage the coils and destroy the cushion. Instead, you should leave a mattress lying flat in its natural position. If you are looking for a climate controlled self-storage space to store your mattress, contact Affordable Family Storage in Ozark, Missouri today. To reserve a unit, give us a call at (866) 838-7990!